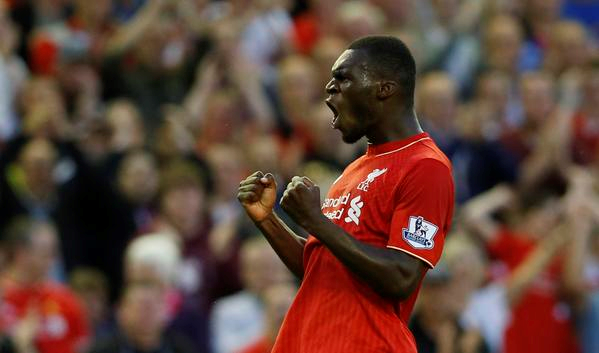 Liverpool outcast Cristian Benteke may have found a welcome way out the Anfield door, if all is to be believed. The Mirror reports that both Everton and Sunderland are very interested in the Belgian hotshot who scored 10 in over twenty appearances for Jurgen Klopp last season, Benteke was on the bench against Roma on Monday but did not feature. Everton are holding out for £75 million from Chelsea for their prized forward Romelu Lukaku, and should they get that kind of money they will immediately offer Liverpool the £30 million they want for Belgian International Benteke who is willing to consider a move as he knows he is not in Jurgen Klopp's plans going forward. Doesn't say much for former red Fabio Borini who is almost a cult figure at the stadium of light and I doubt if Sunderland will cough-up the £30 million value of Benteke. Arrogant Alan Pardew now of Crystal Palace was earlier mentioned as a potential Benteke buyer but baulked at the fee, what a shame! Sending him out on loan is not an option Liverpool should even consider, he is too good a player for that and is well worth a proper transfer away.